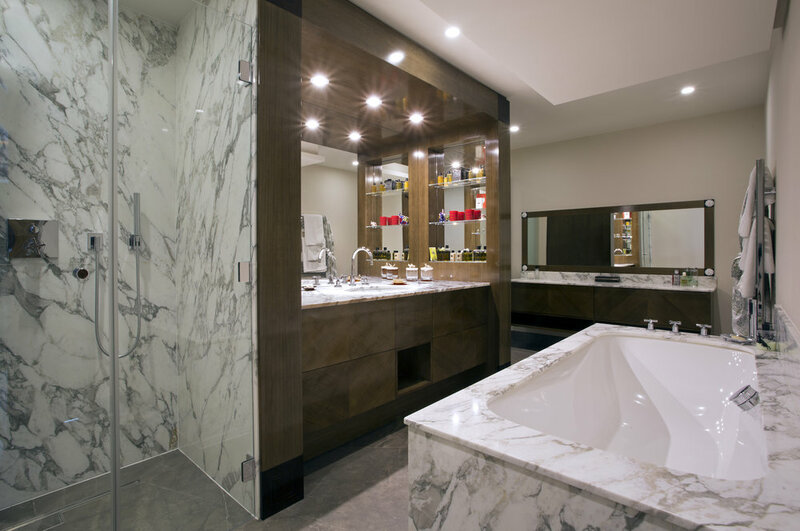 Eliská Design Associates designed a Master bedroom and en suite bathroom for Mayfair apartment. 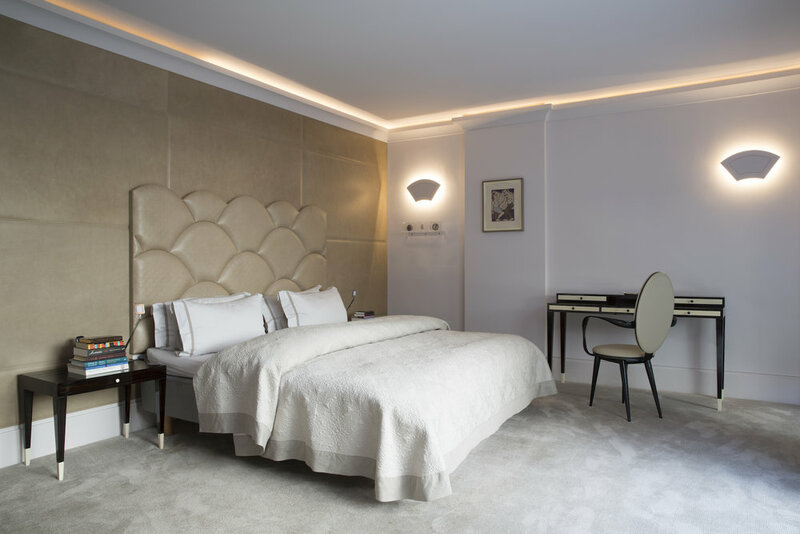 The bedroom features a leather panelled wall with a bespoke headboard inspired by the Art Deco period. The apartment was fitted with state of the art adjustable lighting systems, incorporated into the architrave to create a soft light throughout. The bathroom was fitted with Italian Marble bath and shower, and Eliská designed a bespoke Eucalyptus and Macassar wood Vanity to accompany.